Time for another farm tour. 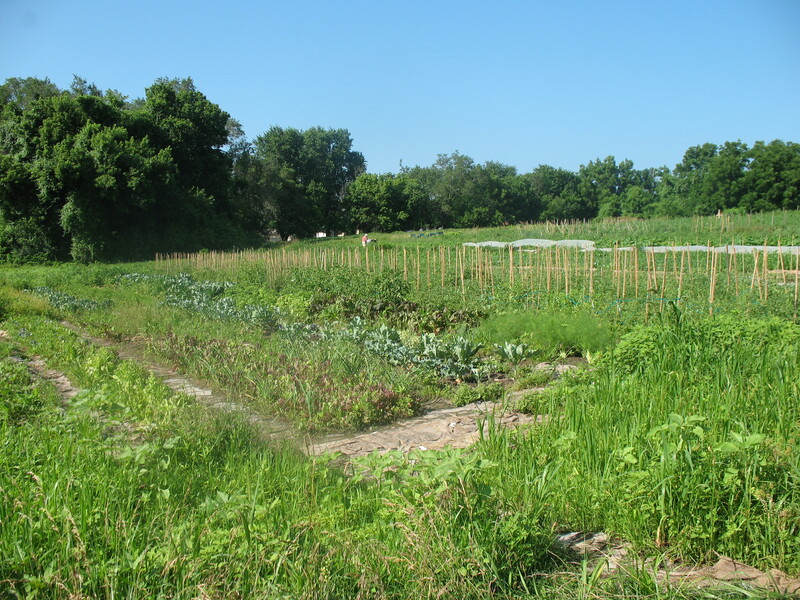 This time the farm is in Missouri very near downtown Ferguson. First of all if you haven’t been to Ferguson in a while, it’s definitely worth a trip to see what Ferguson has done to revitalize and highlight the area–new shops, a Saturday Farmer’s Market, and beautiful neighborhoods. 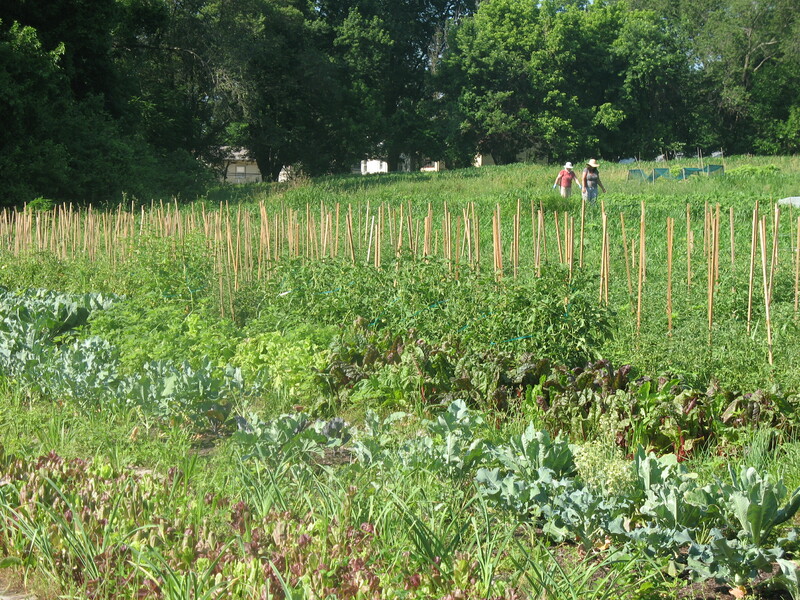 Mueller Organic Farm sits at the back of a residential neighborhood. It is serene, picturesque and I loved the scent released as you brush past the large patches of mint lining the road. I enjoyed the chance too to pick a few black raspberries although my son ate them before I could even get a taste. He said they made his tummy happy, so I’ll believe mine would have been happy too. I was so taken by the scenery and atmosphere of the farm that it was a jolt to hear the very load sound of a plane landing at Lambert Airport a short time after we arrived. You feel very far away from civilization when you can block out the airport. I would never have imagined all that lay behind the thin metal cord barrier–14 acres of “some of the best soil in Missouri” according to Dave one of the men who farms on the land. The sign that greets you out front says the Mueller Farm has been around since 1893. And it has been organic the whole time. The farm used to be 200 acres. As the Mueller Family got older a lot of the acreage was sold to development. Now, Mrs. Mueller rents out acreage to a variety of farms. The one we originally went to visit was Earth Dance Farms. Molly Rockamann has been our main contact and the visionary for the farm. Earth Dance Farms is working to bring young people into farming and has apprentice farmers, work parties, music concerts, pesto dinners and tons of energy. It was wonderful to see the vision becoming a reality. While at the farm we met some other folks farming the land. Karrie from Red Earth Farms (we’ve sold some of her produce in the store), John Wilkerson (farming on the property for 10 years) and Rufus Cole who says “I’ve been farming out here since the beginning” and promises this is his last year. Molly told me he’s 80, but it’s hard to believe when looking at him. I guess it’s all the good eating and honest work! 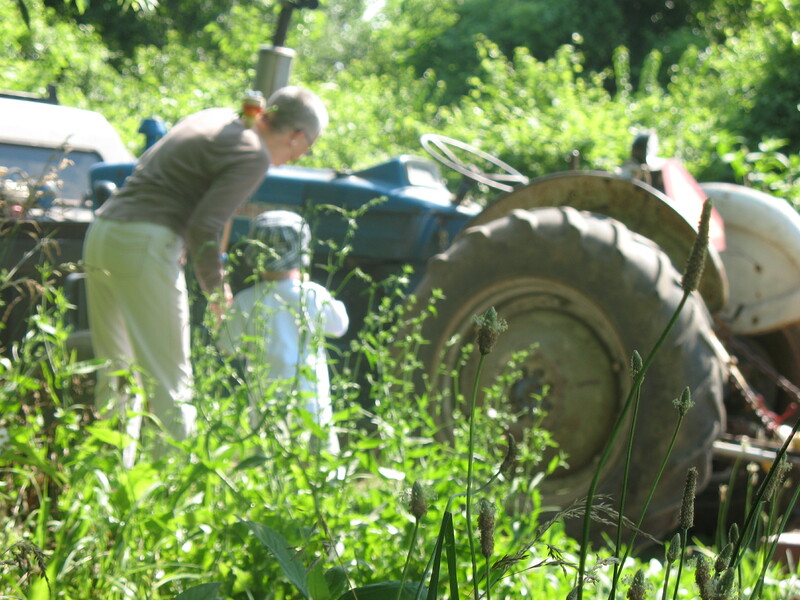 It is so exciting to see all the interest in farming, preserving the land and of course, sustainable farming as is practiced on the Mueller Farm. 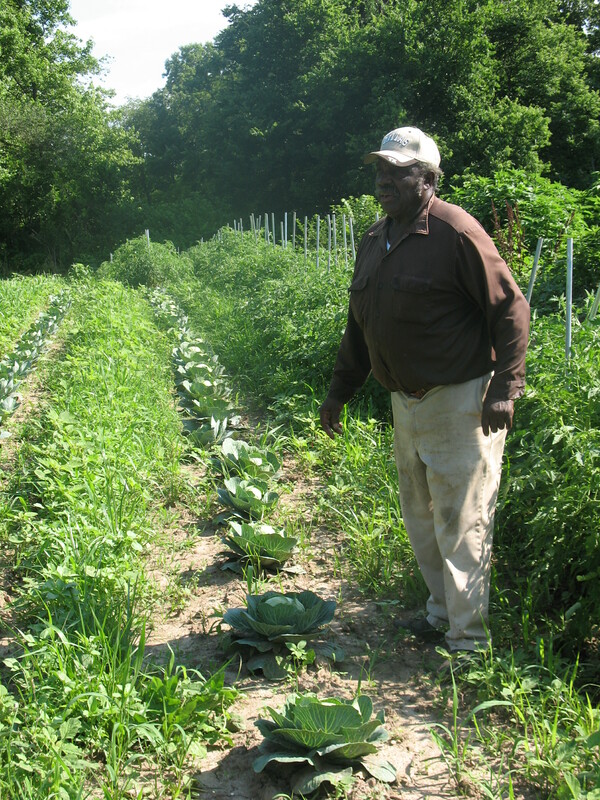 Learn more at our “Meet the Farmer” dinner on Tuesday, July 21, 2009, 7:00p.m. We’ll feature all the delicious produce, plus you’ll get to view a short documentary about the farm. Call 314-772-8815 to make reservations. Cost is $35 vegetarian/vegan, $45 omnivore and $15 for optional wine pairing. Rufus Cole giving a tour of his crops.